All cultures have languages. The human cultures have intricate systems of communication, how to send and receive messages. In order to be a perfect decoder of messages in a culture, you have to be exposed to the very culture from childhood. In a modern world where there is a lot of migration, it is not surprising that people don’t fully comprehend each other all the time. Communication is not limited to the written lines or spoken words. One way to communicate is to do it with clothing. We all get a feeling for a person by the way he or she is dressed. In many instances, costumes are radiating more than whether a person is a woman or a man. The traditional Saami clothing has a lot of post-it notes for the culturally aware spectator. 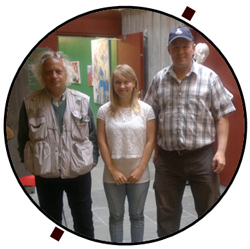 At the Saami Museum in Karasjok, RiddoDuottarMuseat, we met a young woman, Ms. Maren Inga Bær. 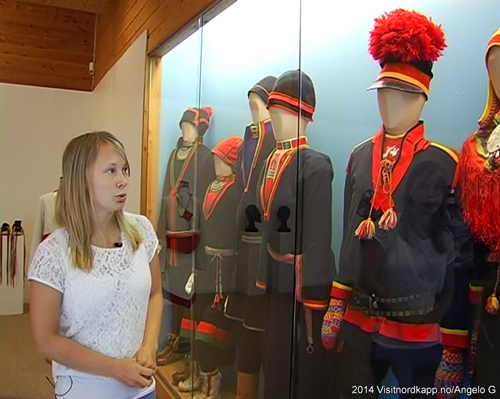 Displayed in the museum were Saami costumes from all of Sapmi, the land of the Saami people. She introduced us to the Saami dresses, Gákti, from North Cape and all the way to Røros in Norway. 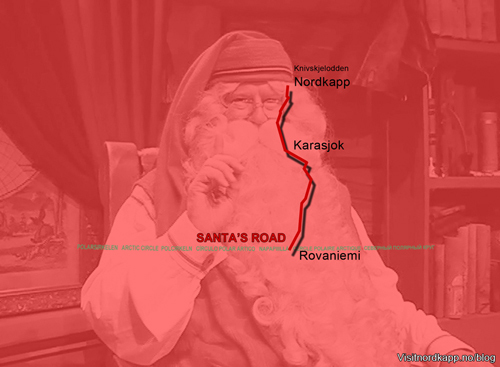 Also Gáktis from Sweden, Finland and the Kola Peninsula in Russia can be admired. Traditionally, the garments have been used both for festive occasions as well as everyday life. As we saw in Inari and at the silversmith Matti Qvick, supplements such as the brooches are also telling a story about the person wearing it. Elaborate stich patterns are communicating, belts say a lot about the person, straps tightening the footwear are talking, and the wonderful hats are speaking in volumes. For the trained eye a short view is enough to know a lot about the person you have in front of you. People in the Arctic, who are not Saami, will very often be able to understand where home is for the person in question. If a Saami person can’t explain the Gákti and these things about himself or herself, you are most likely looking at a fake Saami.